It is widely accepted that appropriate lighting can help to reduce crime and act as an eeffective deterrent to burglars. Appropriate lighting will help to make your home more visible to neighbours and passers-by; thereby increasing the likelihood of discovering unwanted intruders and trespassers. However, it should also be noted that lighting does have limitations and so should be regarded as an aid to other security features in your home such as good physical security, intruder alarm etc. Furthermore, outdoor Lighting makes visitors feel safe and welcomed on arrival. oodlight will be offfor the majority of the time and only used when required. Whilst in your home, the activation of a floodlight due to movement outside the home will make you aware that there is activity outside. Additionally, if exiting your home the automatic light will assist to light your path in the darkness. Crimes committed at night are most often committed in areas that are dark to avoid detection. Keeping the external areas of your home well-lit will deter burglars from approaching your property. However, light pollution and the effects on neighbours must be taken into account. Bulkheads allow the house to be illuminated and focused on the primary locations of entry without interfering with other neighbours. 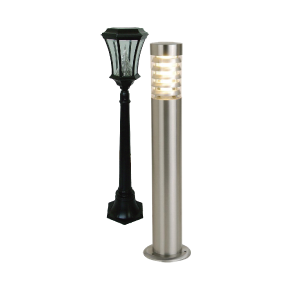 Illuminate your driveways, walkways and garden paths with outdoor bollards or garden lights. Bollard lighting is a great way to introduce low level lighting to illuminate the surrounding area of your home. At night, in most occupied homes lights are switched on and offat irregular intervals in different rooms. The light in the sitting room or landing may be switched on for hours at a time whereas the light in another room may only be switched on intermittently as people enter in and out of these rooms. It is important therefore, when a home is vacant, that an impression is generated to would-be intruders that the home is in fact occupied. This can easily be achieved by having some lights switch on for pre-programmed durations whilst the house is vacant. The idea being to try to recreate the normal living and lighting activities when the home is occupied. As the title suggests, this is Lighting that’s automatically turned on at dusk and offagain at dawn. 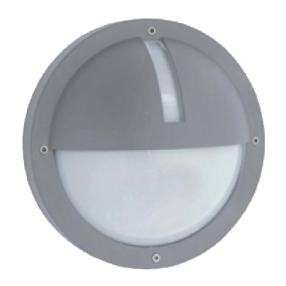 This option provides continuous lighting during the night and acts as a powerful deterrent to intruders. However, it can use a lot of electricity. It is best to use lights that are not too bright. Using strong lighting in specific areas can increase the sense of darkness elsewhere creating shadows and provide a hiding place for burglars. 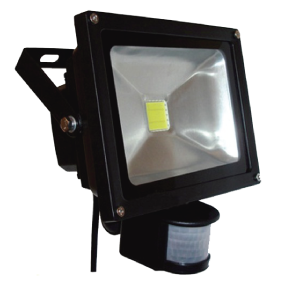 Downward directed, shielded lighting of medium intensity provides the best solution. Controlling the glare is also a major consideration because homeowners who can see the criminal can possibly provide authorities with descriptions and other valuable clues. Lara can advise you on how best to control your lights. A key benefit of this home lighting option is that it saves electricity because the lights only come on when triggered. Motion activated lighting can deter burglars when they find themselves suddenly lit up, which may be all it takes to thwart the intrusion. Lights that operate in response to the burglar’s movement can give the impression that someone is at home who may be aware of their presence. Motion activated lighting also cuts down on light pollution. Place motion detectors in areas where no-one should be, such as along the side and back of the house, and make sure you are able to see them if they go oso that you know something isn’t right. The sensitivity of motion activated lighting can be set so that it is less likely to be activated unnecessarily by neighbourhood pets and other small animals. ts of both options above. Like dusk to dawn lighting, the outdoor lighting is on continuously but at a low level. Motion detectors then amplify the light when movement is detected. Whichever option you choose, it is important to set lights and sensors high up where they are out of reach and tamper proof. The right outdoor home lighting can meet many of your security needs but don’t rely on lighting alone. It is still important to be vigilant and to consider other security measures like locks and alarms. If you also have a CCTV system in place, you must ensure that your lighting system is compatible with your cameras. Site testing, in different light levels, should be carried out to ensure that this is so. It is also possible to link up lighting to intruder alarm activation internally and externally. Therefore when the intruder alarm is activated internal hall lights or external floodlights can be activated. This is dependent on certain wiring arrangements within the home. Lara can advise you on how best to automate your external or internal lighting should your alarm activate. Light pollution is an inefficient use of valuable energy. It can affect the environment, disrupt ecosystems and have adverse effects on human health. It is important, therefore, when choosing a lighting system or lighting fixtures for your home that light pollution and its effects are also considered. Lara can offer advice on suitable lighting to least impact the environment and to keep light pollution to a minimum.